The air-conditoned guestrooms feature twins or queen-size beds, and all rooms have electric kettles for making tea or instant coffee. The decor is modern, with plenty of exposed brick, traditional Venetian terrazzo floors, and the occasional antique. As you leave the waterbus pier, bear left and walk toward the stone pedestrian bridge. Turn right at the first street heading inland, the Calle delle Rasse. 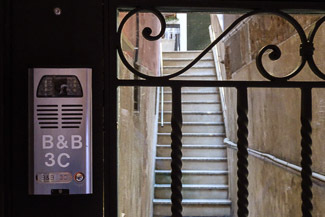 Next to the entrance is an intercom box labeled "B&B 3C." Press the button for admittance.